College football season is in full swing and here in Austin that translates to wearing your burnt orange with pride, admiring the beloved Bevo, attempting to spot an electrified Matthew McConaughey in the stands, and of course, cheering on the Longhorns as they take the field. If you can’t make it to DKR for the game, don’t sweat it. Instead grab a seat, a beer and a snack at one of our recommended spots to cheer on the team from afar (AC included). Haymaker. Credit Patrick Y Wong. Haymaker is all about community and comfort. Surround yourself with fellow fans at the long, community-style tables that fill Haymaker’s interior as well as its inviting outdoor patio. Pick your choice of game day grub like pretzel bites or poutine from their hearty menu and don’t forget to order your favorite local brew (heads up, they have a lot of options). The game a little slow? Play some pool while you wait for the action to pick back up. Casual and die-hard fans alike enjoy this spot, as there’s a little bit of everything for everyone. Since opening its doors in 1971, Posse East has long been the place for Longhorn fans to watch the game. Just down the street from Darrell K Royal Memorial Stadium, the stadium’s roaring excitement is infused into Posse East’s atmosphere. The North Campus spot prides itself on being one of the best bars to watch college football, blaring the game from every screen in the bar so you won’t have to miss that unbelievable play. Little Woodrow’s, found in the heart of West Sixth, has all your tailgating needs. Sharing a building with Brooklyn Pie Co., and featuring the One Taco food truck on the patio, you’ll have plenty of game day-worthy menu options to choose from. Enjoy the covered patio, rain or shine, and bring the pups for a pet-friendly game day. If you&apos;re wanting a recap of the day, make sure to check out Little Woodrow’s website to see if you’ve made the photo gallery! Cain & Abel&apos;s. Courtesy of Austin Landmarks. 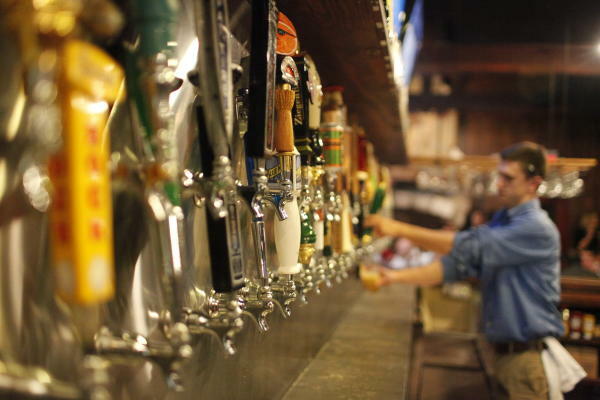 Located in the heart of West Campus, Cain & Abel’s has been a long-standing game day tradition since 1991. On game days you can find every booth, table and practically any available surface packed with students sipping from mason jars filled to the brim with Texas Tea and enjoying ice cold beers. You don’t have to miss out on the tailgating experience as Cain & Abel’s has classic bites like their pork sliders or ranch-style jalapenos. With a sea of burnt orange and a great view of the end zone from any angle, you’ll feel like you’re in the middle of the action. The Tavern, built in 1916, is the perfect place to sit back and enjoy the game. The German-influenced sports bar has 50 (yes, 50) high-definition screens so you can catch the action from any angle. Enjoy a burger or some chips and queso while having a beer from their rotating beer menu on the inviting upstairs patio. If you’re a little further north (or south) but want to experience the game as if you were in the stands, look to The Park. Thanks to its great brunch menu and TV-lined walls, you can find brunch fans and sports fans alike enjoying their weekends at The Park. Cheer on your favorite college or NFL team, while sipping on $5 sangria frizzes and mimosas or share the wealth with $12 domestic pitchers. Best of all, The Park has a large covered patio perfect for those days when kickoff is (eventually) accompanied by a fall breeze. Though Austin is far more than the university that carries its name, this city can’t help but be infused with the Longhorn spirit. 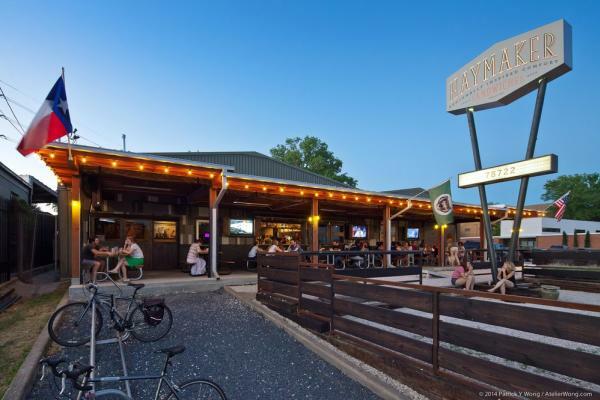 No matter where you decide to grab a drink and cheer at the top of your lungs, Austin has plenty of spots where you and your crew can tailgate like the pros (aka college students). Contributed by Nicole Zielinski, Visit Austin Marketing Communications Intern.